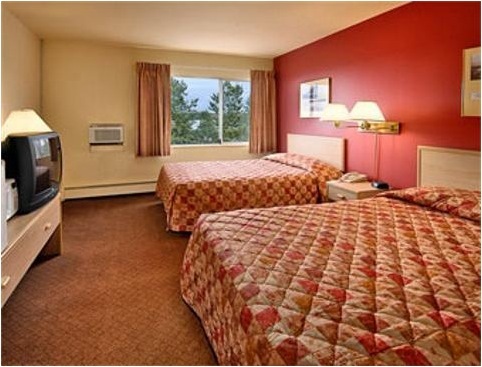 Upgrade to Anchorage top city hotels: The Hilton, Marriott or Sheraton - all centrally located within downtown Anchorage with sweeping views of Ship Creek, the Chugach Mountains and/or the Cook Inlet. 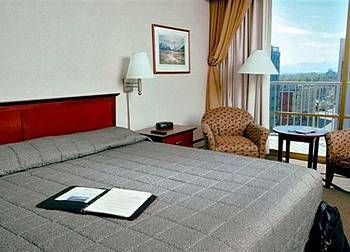 Hotel amenities included: fitness center, indoor pool, steam rooms, restaurants, bars, Starbucks coffee shop, high speed internet access, business center. All deluxe rooms (smoking & non-smoking) are providing a private bathroom, luxurious bathroom amenities, flat screen TV, phone, deluxe mattress, down comforter, king/queen beds, alarm radio, MP3 Player plug in, hair dryer, iron- and ironing board, dual coffee maker. Restaurants and shopping areas are in walking distance from the hotel. Transfer time from the Ted Stevens Int'l Airport to the hotels is approximately 20 minutes. (included) Private Limousine Transfers provided. 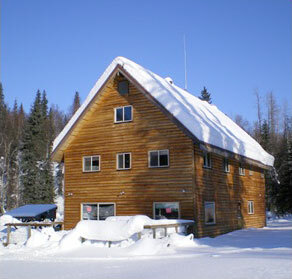 Suitable accommodation within Alaska's wilderness areas during the Iditarod Race is extremely limited. Luggage space on all ski-plane fly outs to the race checkpoints and to the lodge is limited to 20 pounds per person. You may use soft-shell luggage only. The nicely appointed three-story wilderness lodge is located about 90 Air Miles NW of Anchorage within the foothills of the magnificent Alaska Range. The flight time to the lodge is approximately 45 minutes. Your remote home away from home is comfortably furnished with polished hardwood floors and large picture windows. Accommodation in rooms with two twin size beds and cabins for up to four clients. Guaranteed single room occupancy available. A total of six rooms are sharing the two large bathrooms – a real threat in a remote Alaska wilderness location. Limited internet access. Generous Alaskan style meals are served at the main dining room. Optional activities: snowmobiling, snowshoeing and ice-fishing.